So Many Read-Alouds, So Little Time! We are a family of readers. I love that about us. Everyone always has a great book with them, and most often we will choose to read or play a game over watching television. I also love to read aloud to my children, but lately I've been thinking there aren't enough hours in the day for all the reading that should be done!! Do you often have two or three books being read aloud at the same time? We do. I think that is because I spot a book (or one of the children spots a book) and we just HAVE to start it. Now. Because it looks SO good. before bed - We try our best to have the house quiet by 8:00 or 8:30, so I (sometimes it is my husband) can sit and read for 30-45 minutes. cold, rainy mornings - we've had A LOT of those in Georgia recently. We put a fire in the fireplace and might just read for an hour or two. If you think read-alouds are a waste of good "school" time, I would have you think again. I can't tell you the amount of knowledge we gain from our read-alouds and how good my children's vocabulary ~and especially their writing~is getting because of the read-alouds. It is time well spent. I have also heard people say their young children can't sit still long enough for read-alouds. My youngest (now 7) has been listening to complex book for a couple of years. He always has something to keep him busy - Legos, coloring, blocks, action figures... We have been working on developing this HABIT of ATTENTION in our children (for years now!) and it is paying off in spades. 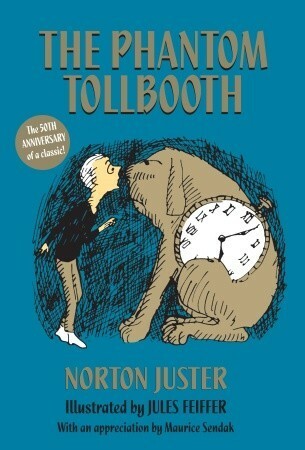 The Phantom Tollbooth - We're almost done with this one! It's a great book... and very literal at that. I downloaded it on the iPad and I usually keep it with me if we are going to have be somewhere and wait. I also like to read this one at lunch time! The tie-ins with this book for math, social studies, and language are just wonderful and intriguing. I think every child should have this book read to them at some point before they leave home. It's a classic. 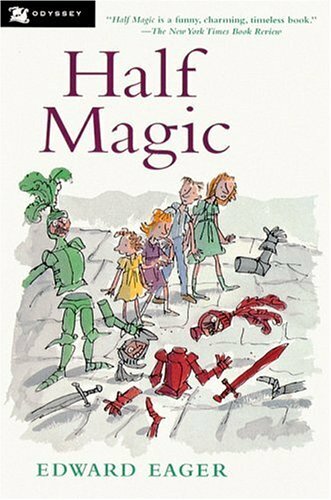 Half Magic - This is the first book we've ever read by Edward Eager. I just ordered another in this series because this one is so good! 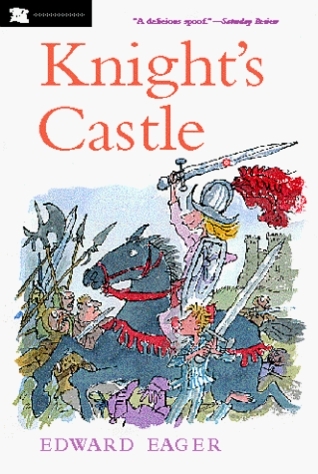 I love how this book transports the 4 children in the story to different time periods in history. They get transported to King Arthur's time - which is perfect, because we're there in history now! Knight's Castle - The 3rd in Eager's series... this just arrived in the mail yesterday and I really want to finish Half Magic so we can start this one. This was recommended for our Medieval studies, as well! Son of Charlemagne - This is one we will be starting next week. It coincides with our Story of The World History (we are learning about the Franks right now). 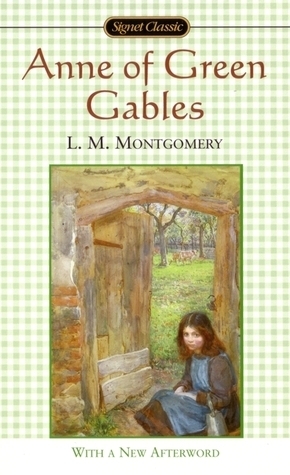 Anne of Green Gables - This has been sitting on my daughter's shelf for a little over a year. I want to read it out loud to her - a special time for the two of us. I think this will be a little February project for us. What are you currently reading aloud? How much time you spend daily reading aloud? I'm happily linking with my friend Amy, at Hope is the Word. Her blog is an AMAZING RESOURCE of read-alouds. I hope you take a chance to visit her and say hello.